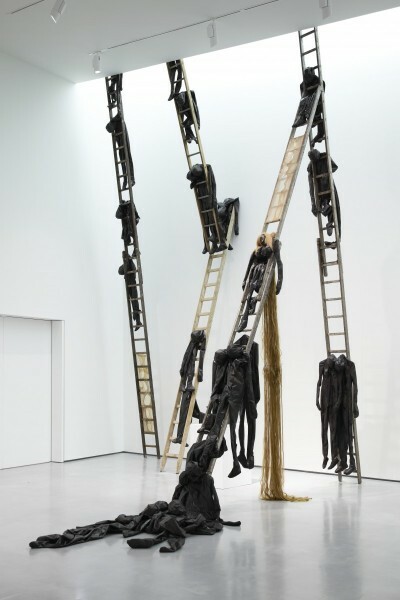 Alexandra Bircken, Deflated Bodies, 2014 a new site-specific installation from her new exhibition 'Eskalation' at The Hepworth Wakefield. Photo by Stuart Whipps. Image courtesy the artist, The Hepworth Wakefield and Herald St, London. 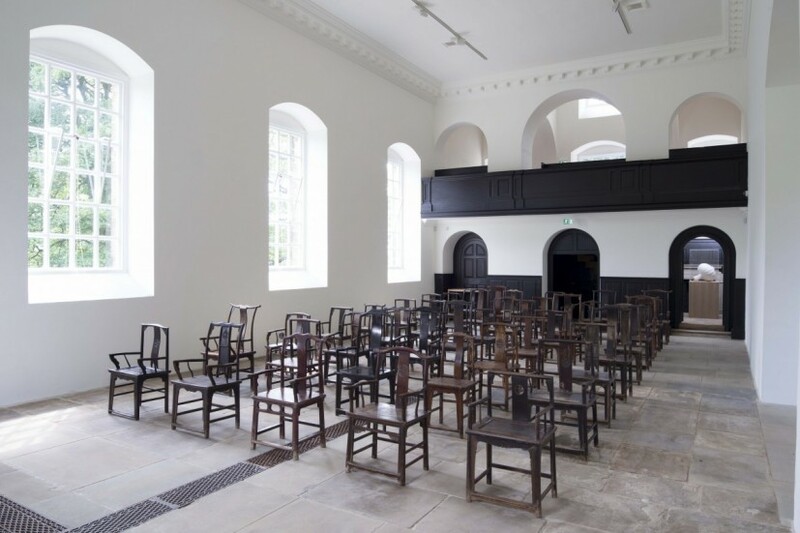 This week I am going to try and tempt you out of London and up to Yorkshire, where in a day trip you can take in an amazing variety of contemporary art of the highest order. And on the evidence of my own experience this week, the autumn is playing out quite spectacularly this year. A lungful of fresh air, blue skies, bright leaves and a truly excellent lunch: what could be better? Starting from Kings Cross, Leeds is just over two hours away by train, and the Leeds Art Gallery and Henry Moore Institute a matter of five minutes’ walk from the station. You will not fail to know when you have found the right place as there is a monumental Thomas Houseago standing male figure outside the gallery, like a pale, benign giant. 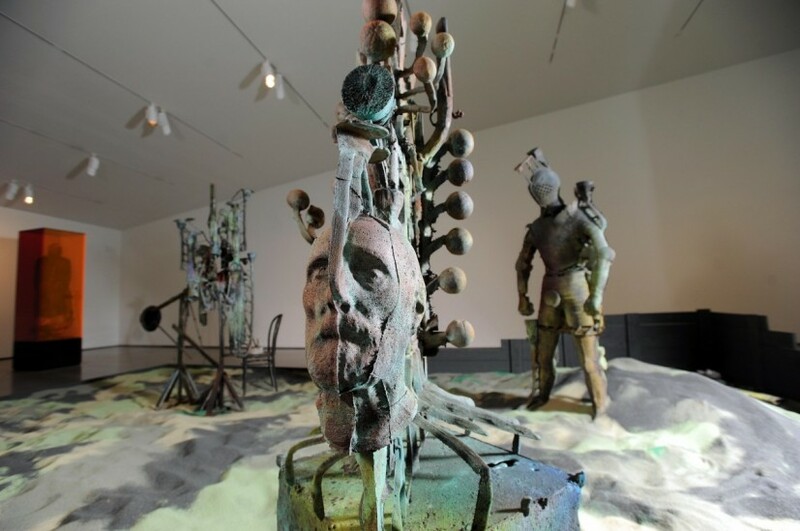 These days Yorkshire is doing a great job of celebrating its astonishing track record in producing world class sculptors: Houseago was born in the county, as was a certain D Hirst; Moore and Hepworth are part of the indigenous DNA. Leeds Art Gallery has an outstanding collection of sculpture, and right now you have the opportunity to see the confidently re-installed sculpture galleries, resplendent with figurative work that spans from Canova to Simon Fujiwara and Becky Beasley – these last two recent gifts of your very own Contemporary Art Society. 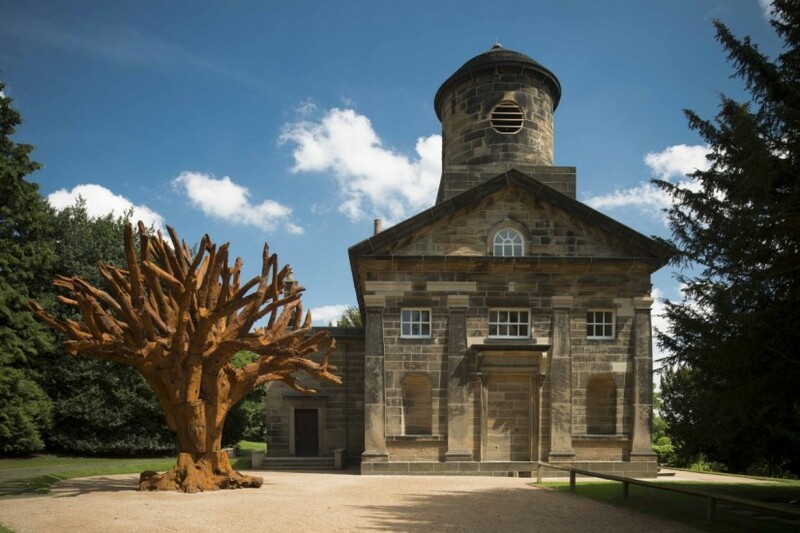 You can get round the galleries in Leeds and then find your way over to the Yorkshire Sculpture Park in Wakefield in time for an excellent lunch in the restaurant there (all locally sourced produce is used, and for carnivores, the shepherd’s pie is outstanding). 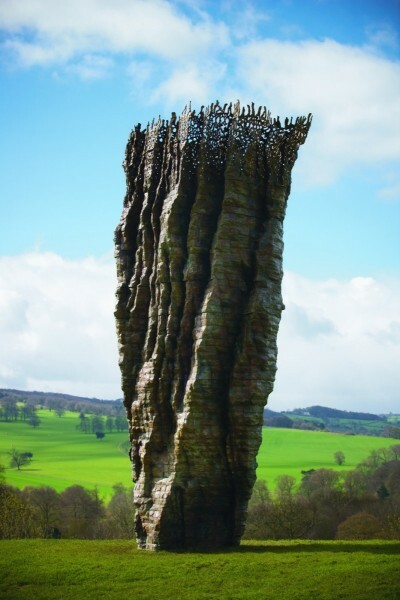 YSP has just been awarded the accolade Museum of the Year, and the current offer fully justifies it. After lunch you can haul on your wellies and go off to the recently restored 18th century Chapel to see a group of works by Ai Weiwei: the huge Iron Tree, 2013, cast from fragments of timber from all across China and bolted together to form a composite whole, stands gently oxidising to a glorious rich rust red outside the pale stone chapel, while inside is an installation called Fairytale Chairs, 2007, as well as a number of other smaller works. If you have been to YSP before you will probably have seen the James Turrell Deer Shelter, but if not this is a sublime permanent work from 2006 that perfectly captures the subtle shifting light of the skies on the edge of the Yorkshire moors. Head on from there up to the Longside Gallery on the far side of the park. It is a good 30 minute walk, or you can take the bus from the visitor centre. 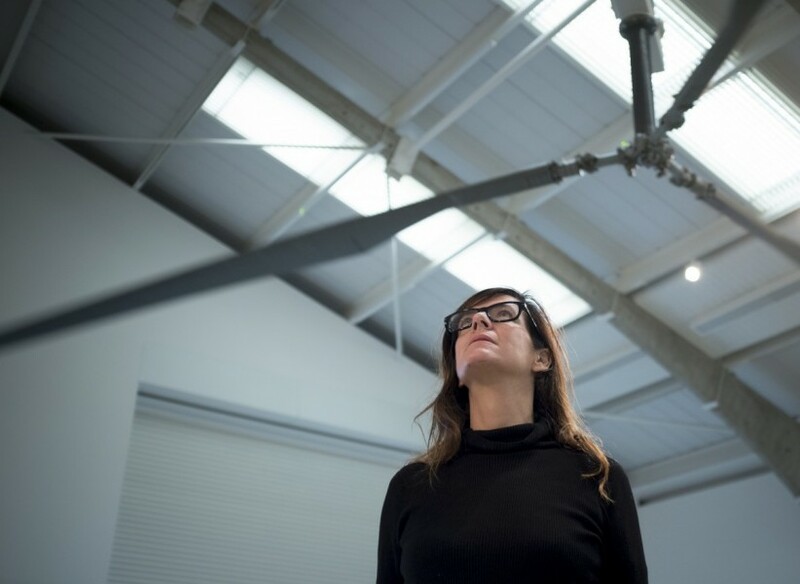 Whichever way you do it, do not miss the extraordinary Fiona Banner installation, Chinook, 2014, in the main space. Two vast helicopter rotors spin above your head, their speed varying through some invisible mechanism. The effect – visually and acoustically – is at once exhilarating and menacing. Back at the main visitor centre, go down to the Underground Galleries to look at the major solo exhibition by acclaimed American artist Ursula Von Rydingsvard who works in cedar wood to produce free standing and wall based works that reference her very earliest childhood experiences fleeing from war torn Europe in the mid-1940s. 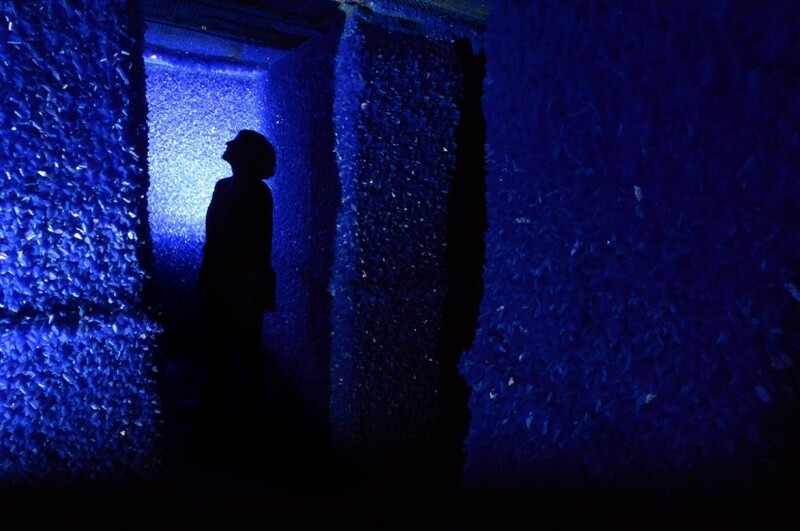 And just before you leap in a taxi and get across to the Hepworth Wakefield, do make sure you walk on past the Underground Galleries to see Roger Hiorns’ Seizure, 2008/2013, the Artangel project rescued from demolition in South London and installed at YSP since last summer. Still as strange and magical as ever in its new location. 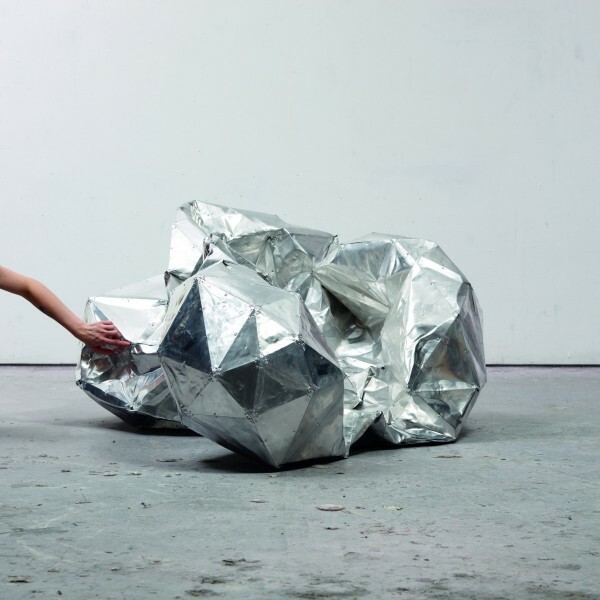 At David Chipperfield’s Hepworth Wakefield, in addition to the wonderful permanent collection displays that focus on classic British modernism, there are powerful solo displays of work by Alexandra Bircken, Folkert de Jong and Toby Ziegler. Toby Ziegler also occupies the more industrial spaces of The Calder just across from the Hepworth’s lawns, with new sculpture in aluminium. Do all this and then race for the train for Kings Cross that can have you back in London in time for dinner or the theatre. A grand day out.